Whew, that was a long winter. Good riddance to snow-covered T-tops, icy gunwales and frozen trailer hitches — now’s the time to de-winterize your boat and prep it for summertime fun. Sure, you do some sort of spring prep every season, but we hope you’ve made a list and you check it twice, because if you skip any of these spring chores Mom’s Mink is going to suffer. On second thought, leave it to us. This Springization guide should do the trick. 1. Before you begin this process, put your batteries on a charger. There’s a good chance they lost some of their zing through the winter months, and you’ll want them at 100 percent when it’s time for your maiden voyage. Remember that a slow charge of an amp or two will take longer, but it’s better for your battery — besides, with all the work you have ahead of you, there’s no reason to rush it. 2. The head was the first order of business when we shut down for the season, so it seems like a good place to get started now. If you have a portable MSD, you’ll need to refill the water reservoir in the top section and add a dose of odor-killing chemicals to the bottom section. Strap it in place, and you’re all set. 3. If you have a fixed head, you’ll have to drain the antifreeze from the lines. Opening the seacock will do the trick, but first remember to place a bucket under the through-hull; most antifreeze is toxic, and you should take it to an EPA-approved recycling center. Warning: You think this is overkill? Dogs in particular are attracted by the sweet smell and taste of antifreeze, and many die every year due to people’s carelessness — don’t let this stuff spill out and pool on the ground. Besides, disposal is a lot easier than you might think, because most local landfills and many auto repair centers will accept used antifreeze. 4. The same goes for the antifreeze you added to other plumbing, such as the freshwater system, the fishbox plumbing or raw-water washdown lines. In these cases, however, you may need to open one or more faucets or valves to allow the lines to vent properly. 5. If you suspect antifreeze remains in any of these lines, force it out with a blast from an air compressor. Then fill all your tanks and allow water to run through the lines long enough to give the entire plumbing system a thorough rinse. 6. Your trailer probably didn’t get much attention when you put it to bed for the season, so make sure you give it a pleasant wake-up. Start by hitting the bearings with a fresh squirt of grease, check your tires for proper inflation and do a complete check of all the lights. If any don’t work, remember that the ground should always be your first suspect. 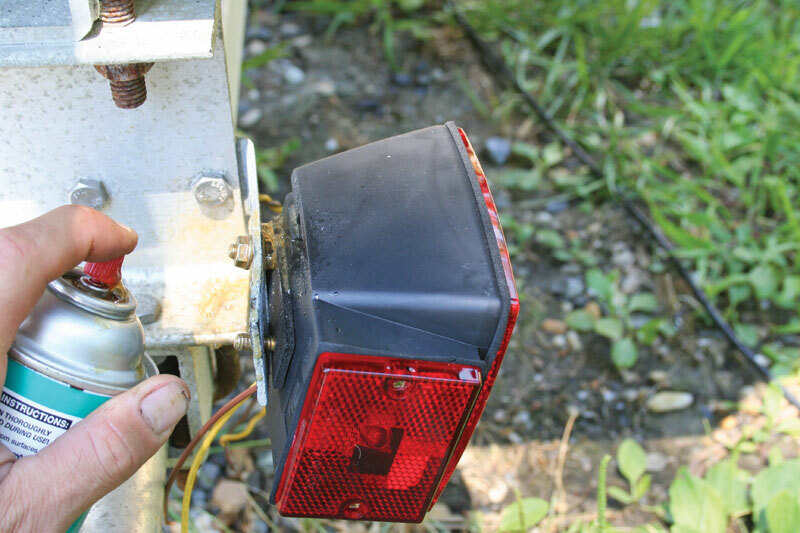 Often, you can get an apparently dead light working again if you simply remove its mounting bolts and clean them, the metal they attach to and the ground connection. Then remount the light and connection. Since this is such a common troublemaker, spritz it with a good corrosion inhibitor such as CorrosionX or Boeshield T-9 before moving on to the next chore. 7. Electronics hopefully fared well during the off-season, but before you launch you’ll need to do a complete check. With your GPS and fishfinder, this is as simple as hitting the power button and making sure they fire up. When it comes to the VHF, however, you need to try a radio check. Luckily, there are now several services that make getting a radio check very easy. BoatU.S. will help you check both transmission and DSC (digital selective calling) functionality by using the digital MMSI hailing number, 0-338-04000, which will link your transmission to the closest TowBoatU.S. tower. But you’ll need to call your local TowBoatU.S. on a landline first, to schedule the free check ahead of time (you can find the phone number for your local company online at BoatUS.com/msl). You can also use Sea Tow’s ARC (automatic radio check), which will play back your transmission, so you can hear how strong and clear your signal is.Different channels are used in different areas of the nation, so go to seatow.com/boating_safety/ARC.asp to find out the proper one to use in your area. 8. Electrical items beyond your marine electronics require a thorough checkup, as well. Go through your boat from stem to stern, and test each and every light, switch, gauge and gizmo that requires juice. 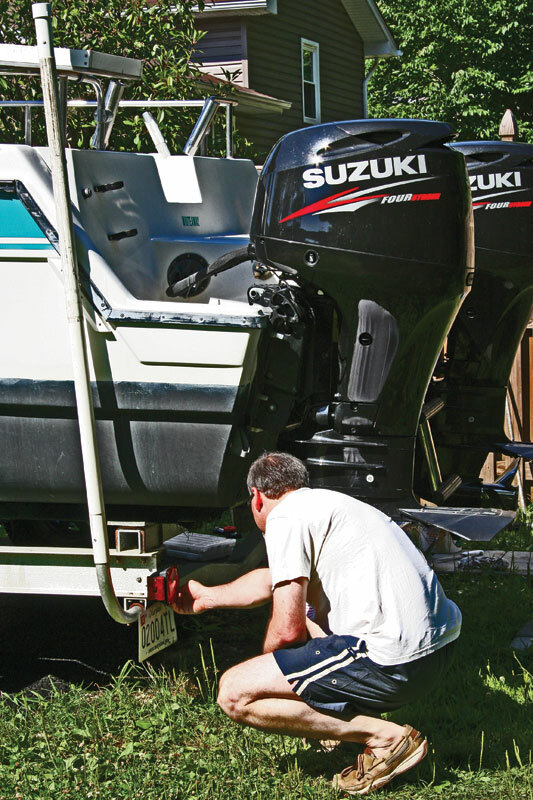 Electrical connections have a tendency to go bad during winter layup, and you don’t want any surprises when you launch the boat, so try them all out now. Once you’ve ensured that everything is working (or fixed what isn’t), take a moment to do some basic electrical maintenance: Visually inspect all connections, remove the fuse block’s cover and spray down the terminals with a corrosion inhibitor, and use a wire brush to scrub away any green crud on a terminal or wire. Get visual with the rest of your boat. Make an inspection of your props to be sure there aren’t any dings that need fixing; check your fuel lines and connections for leaks by pumping the ball(s) until there’s plenty of pressure; and slap an eyeball on plastic parts that can deteriorate with time. If you spot any cracking or leaking, replace the offending item. 9. Wax. There, we said it. You knew this was coming, didn’t you? Waxing the hull and topsides is probably the most time-consuming job you’ll do this summer, but it’s an important one. A good coat of wax will keep contaminants from getting into the pores of your gelcoat, prevent oxidation and make it easier to scrub away dirt, fish blood and scum lines. 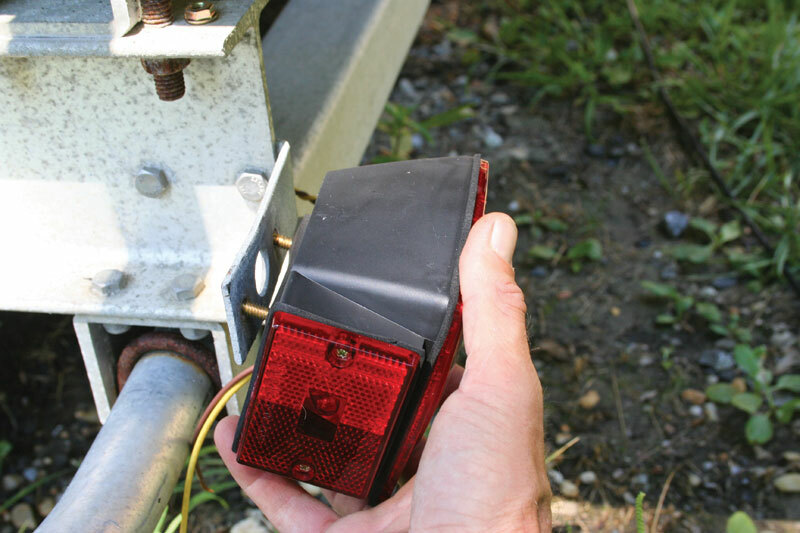 Now check the engine oil, stow that winter cover in the shed and reinstall your fully charged batteries. 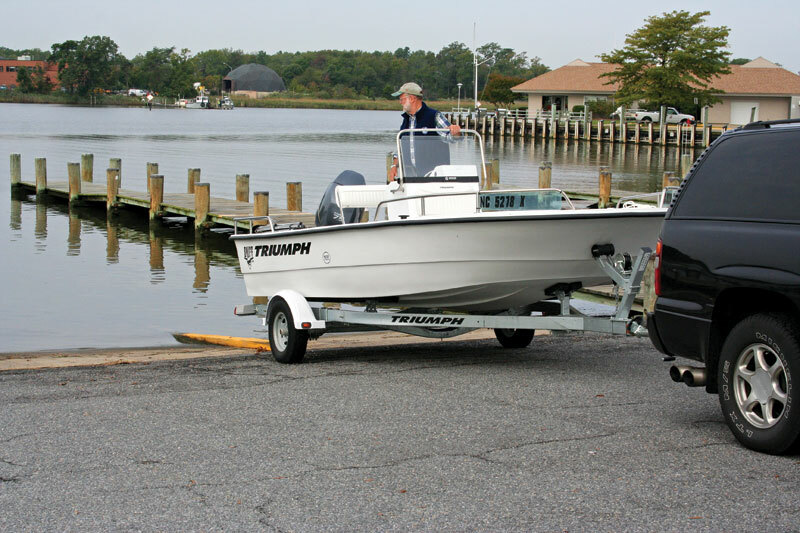 Spring is here, and once these Springization chores are completed, you’ll be ready for your shakedown cruise — enjoy it!